Ann Arbor's City Council is expected to vote on the 2017 fiscal year budget tonight. It's the second part of a two-year spending plan. WEMU's Jorge Avellan reports on the Ann Arbor City Council voting on a new budget proposal for 2017. The proposed $370 million budget includes $720,000 dollars to replace street lights in Kerrytown. 5th ward councilman Chip Smith wants to see two amendments added tonight: The first would add a $100,000 dollar expenditure for a commercial composting pilot project. "What we're trying to do is divert waste from the landfill, and the most recent waste sort that we did back, I think it was in 2012, 40% of what was going into the landfill was organic material." The second amendment would expend $85,000 to continue offering community climate action programs to teach the public and businesses how to conserve energy. The proposed budget also includes over $500,000 to hire new employees. Ann Arbor's interim city administrator will present a $370 million budget to City Council on Monday for the 2017 fiscal year. WEMU's Jorge Avellan reports on a new budget proposal for Ann Arbor. Ann Arbor's city council will receive the revised 2017 fiscal year budget proposal tonight. 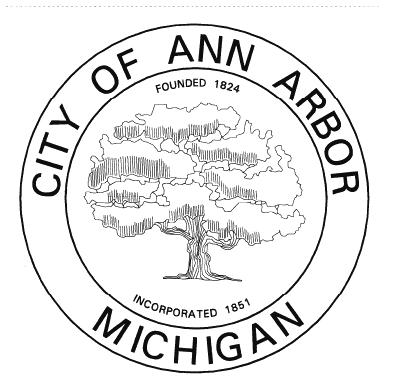 WEMU's Jorge Avellan reports on the upcoming presentation of Ann Arbor's 2017 city budget. Selection of a new city administrator in Ann Arbor is in the home stretch. WEMU's Lisa Barry reports on the final selection process for Ann Arbor's next city administrator.